(Newport, Oregon) – Two big musical moments are coming to the central coast of Oregon. One massive feast of classical happens in the tiny town of Yachats, while the slightly bigger burgh of Newport welcomes '70s pop legend Judy Collins. One of the '70s' most revered talents, singer Judy Collins will join the Newport Symphony Orchestra on July 8 and 9. She hits the central Oregon coast town to perform many of her beloved classics. Collins is a music icon who has inspired audiences with sublime vocals, boldly vulnerable personal life triumphs, and a firm commitment to social activism. Collins has garnered several top-ten hits, and gold- and platinum-selling albums over the decades. She began her sky-rocketing career with a rendition of Joni Mitchell's “Both Sides Now” from her landmark 1967 album, Wildflowers, a disc that has been entered into the Grammy Hall of Fame. Collins' dreamy and sweetly intimate version of Send in the Clowns, a ballad written by Stephen Sondheim for the Broadway musical A Little Night Music, won "Song of the Year" at the 1975 Grammy Awards. The shows begin at 7:30 p.m. at the Newport Performing Arts Center. 777 W. Olive. Newport, Oregon. See ticket prices and purchase tickets at www.NewportSymphony.org. The 36th Annual Yachats Music Festival comes to the central Oregon coast village on July 8 – 10. Put on by the Four Seasons company – known for their artistic excellence – the group always feature a wide range of performers, with often many returning year after year. You'll find solo piano, vocal, instrumental and chamber ensembles such as duos, trios and string quartets. This multifaceted music festival includes three days of cameo performances by 20 to 25 major classical artists. Individual concerts are set for 8 p.m. on Friday, Saturday & Sunday, and at 2 p.m. for a Sunday matinee. Artists include: Ayn Balija, violist; Alison Buchanan, soprano; Tom Buckner, baritone; Leon Bates, pianist; David Burnett, violinist; Aileen Chanco, pianist; Portia Diwa, Celtic harpist; Marco Granados, flutist; Autris Paige, baritone and Tom Rose, clarinetist, among many others. Selections are wide in scope as well, ranging from traditional to avant-garde, American to world-wide, ancient to newly written music of the 20th and 21st centuries. To purchase tickets online or for more information, visit the web site. 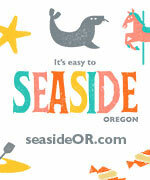 Beginning June 1, tickets will also be available at the Yachats Visitor Center and the Adobe Resort. http://fsarts.org/yachats-music-festival-2/.